The outgoing Irish Ambassador to Sierra Leone, Dr Sinead Walsh, has on Thursday July 28, 2016 paid a farewell courtesy call on President Dr Ernest Bai Koroma at State House. 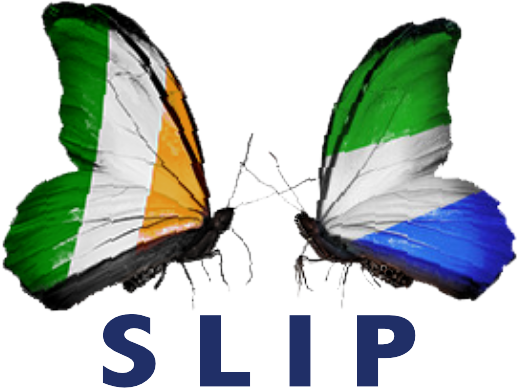 Dr Sinead Walsh has been in Sierra Leone since 2011 as head of the Irish Aid Programme until May 2014 when she took up a new post as Irish Ambassador to Sierra Leone. The ambassador’s work focused on diplomatic representation, assisting Irish companies on trade, consular assistance to Irish citizens and management of the Irish Aid Programme and particularly in Sierra Leone on nutrition for children under five years old as well as women’s rights. The president thanked Ambassador Walsh for her tremendous work and unique services she rendered during her stay in the country. He recounted the bilateral relationship and work between the two countries on important and critical issues; citing the 2012 multi-tier elections, the unprecedented Ebola outbreak and the support given to the girl child in Sierra Leone. President Koroma expressed conviction that the cordial relationship between the two countries over the years has helped to build a strategy in addressing issues. The Commander-in-Chief stated that the good work of the ambassador will always be remembered while wishing her the best in her future endeavours. The Irish ambassador thanked President Koroma for his great leadership and the close relationship the two countries have enjoyed over the years. She noted the collaboration and strengthened relationship between the two countries on bilateral relations, governance and priority interventions during her stay in the country.